As business leaders strive to work effectively with their counterparts around the world, secret handshakes alone won't seal the deal. 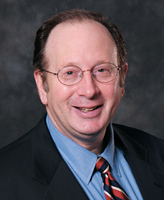 According to Daniel Spulber, the Kellogg School's Elinor Hobbs Distinguished Professor of International Business, avoiding cultural missteps is just the beginning of forging successful connections. "Global business is where strategy meets geography," says Spulber. Managers today cannot simply duplicate domestic strategies abroad, nor is it sufficient merely to possess a sense of local history and custom in the native land of a business partner. Leaders must organize a torrent of information about economic factors in their companies' home countries and in those of suppliers, customers and competitors. "What the manager needs to solve this problem is a conceptual framework," Spulber says. Spulber's new book, Global Competitive Strategy, provides that — a five-point plan the Kellogg professor calls the "Star Analysis." "The Star Analysis tells you how to gather and organize information from the markets that you'll be working in," says Spulber, an economist by training who joined Kellogg in 1990. "The international business manager begins with an overview of the marketplace." If that sounds easy, consider that the marketplace in any given country is a vast web of commerce, culture, politics, technology, labor and trade laws, costs and operating risks. And the global marketplace is larger still and more complex. Spulber's Star Analysis starts with an overview of the marketplace in the company's home country. Managers ask themselves how the political and regulatory climates at home may strengthen or weaken the company's global position and how well the brand is known nationally. They consider the legal dynamics and consumer behavior that may limit supply and cap demand at home. Once managers have gathered this information, they move on to the other four points of the Star Analysis, in which they chart the commercial and cultural dynamics in potential customer countries, supplier countries, partner countries and competitor countries. A thorough analysis requires patience and persistence, but Spulber says the effort will allow managers to "use global markets as the way to meet the challenge of global markets." To illustrate the point, he describes an ideal response to the complexity of global supply chains: that of Apple Inc. in the production of the iPod. "When Apple made its iPod, the real innovation was not necessarily the technology," he says. Apple entered the market late, Spulber notes, but the company sought to set the gold standard for portable MP3 players. "To do this in a way that was affordable and cutting-edge, they had to go around the world for components." He cites a recent University of California-Irvine study that found the video iPod is composed of more than 400 separate components, sourced widely. Spulber points out that there was more to Apple's strategy than simply scouring the market for bargains on parts and labor. "You gain a competitive advantage by making the best connections," he says. He elaborates on the point in his book: "The global business chooses the best match between its home country, supplier countries, partner countries, and customer countries. Toyota produces cars in the US, with relatively high labor costs, to build customer relationships and respond quickly to change in market demand." 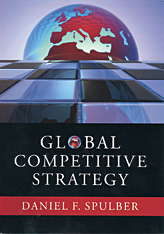 Global Competitive Strategy is a refined, condensed version of the material Spulber has taught for the past six years in International Business Strategy — a core course in the Kellogg International Business and Markets Program. Chapter topics ranging from "The global mosaic" to "Global investment strategy" give students a strong foundation in strategy basics, and the final four chapters contain detailed profiles of leading global companies. "With the Kellogg International Business and Markets Program and the diverse backgrounds of our students, Kellogg graduates are well positioned to be successful in the global marketplace," Spulber says.